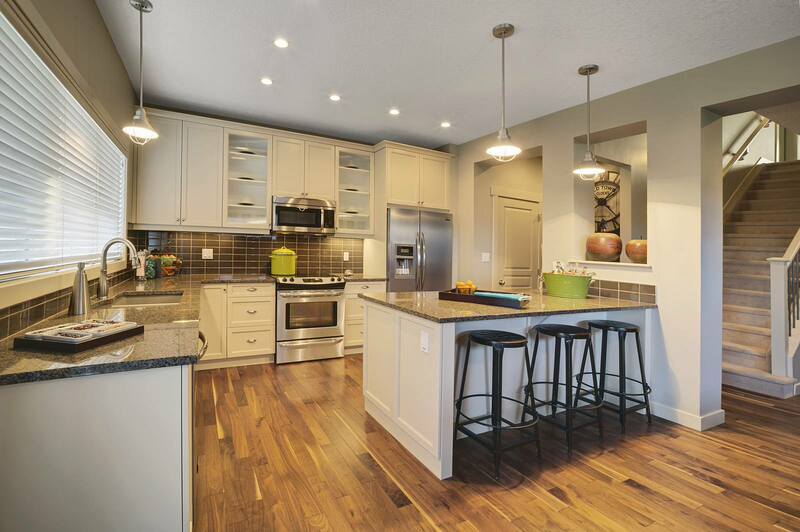 Different kitchen layouts accommodate different personalities and different spaces. 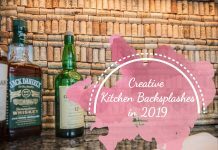 Some people erroneously want a kitchen island in a small space, and others want a single-wall kitchen but leave vast amounts of space unused. To make a kitchen that is the right size, it is important to choose the correct layout. 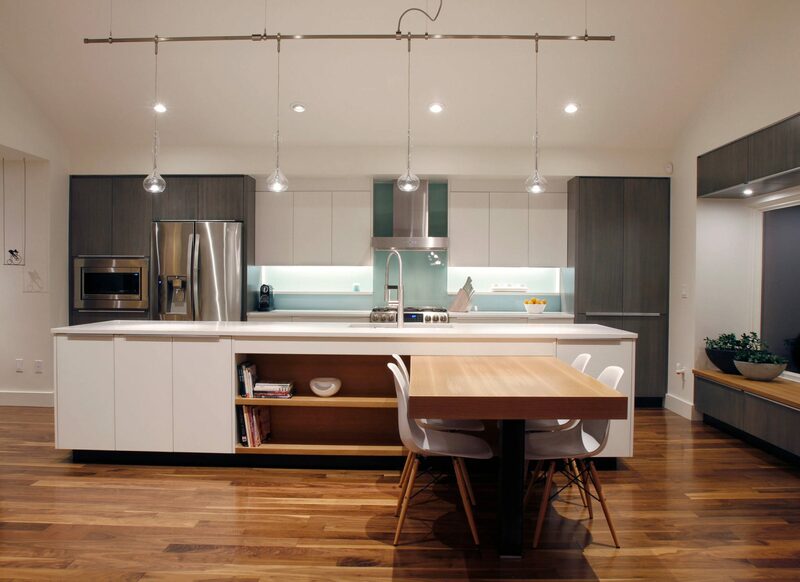 It is also important to consider how a single-wall kitchen relates to the other designs and elements of the house. This is especially the case for nearby rooms like dining and living spaces. 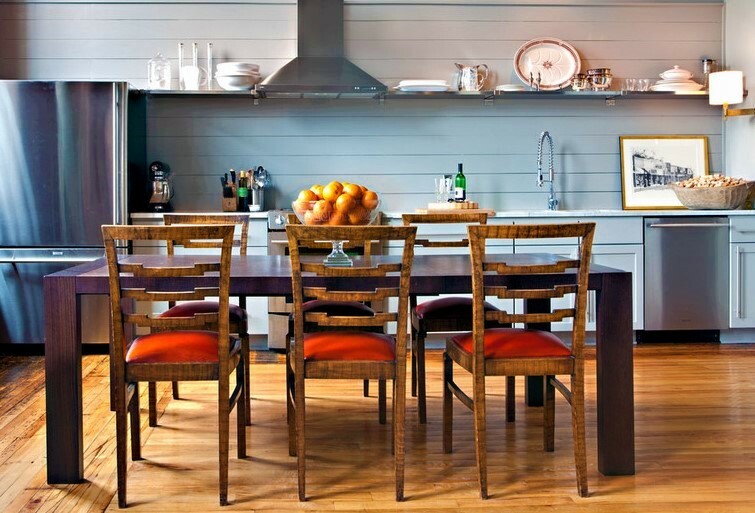 Because one wall will define the entire kitchen, it is vital to have an attractive look. Some kitchens even incorporate an open layout or an open floor meaning a living or dining room will share the same space. These layouts are more ideal for those looking to create a more spacious feel. Galley kitchens (also called corridor kitchens or walk-through kitchens) on the other hand, have a lean layout that suits restricted spaces and one-cook kitchens. They typically consist of two walls facing each other or parallel countertops with a walkway in between. Galley designs make good use of space. 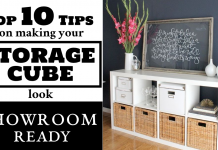 In addition to this, there are no corner cabinets, and this will help a homeowner save money. 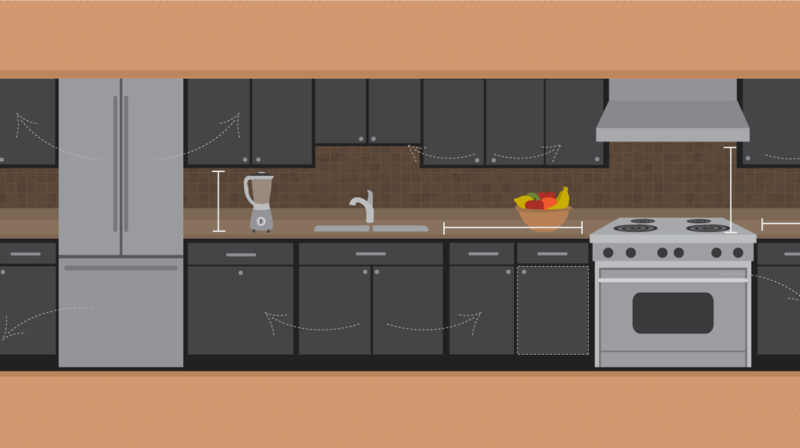 The L-shaped design is optimal for small and medium-size kitchens because it is able to maximize corner space while eliminating kitchen traffic. It is one of the most popular and classic styles because of its versatility with various sizes and types of kitchens. Also, the L-shaped design is known to be one of the most ergonomically precise kitchen layouts in the market. This style is made from two perpendicular countertops that form an L-shape. The legs of this design can be long, but their length should stay within the range of 12 to 15 feet. Smaller kitchens will use shorter legs, and this ensures that space is used efficiently. However, the sink, stove, and refrigerator will be closer together. Dining space and several work zones can be added depending on need. 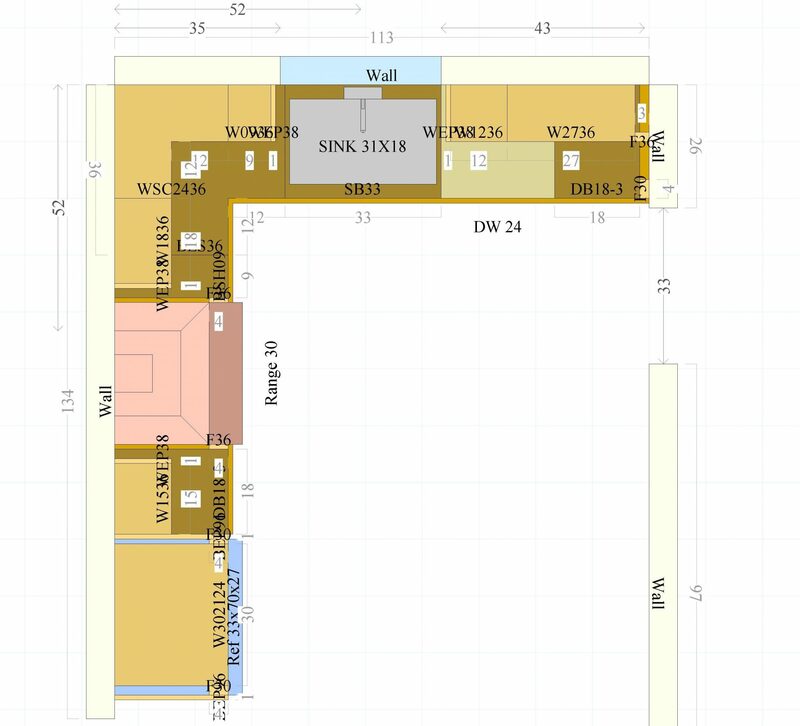 This layout will not work for large kitchens or if many people use the same space. Large kitchens are better suited for a kitchen island, which will allow a cook to face his guests while cooking. In some cases, the L-shaped kitchen can fit small apartments. But this requires that the drainboard sink be fit tightly into the corner of the “L” construction. Nadia Geller, a designer from Los Angeles, specializes in constructing small, contemporary kitchens like these. A peninsula kitchen can be made from an L-shaped layout with relative ease. 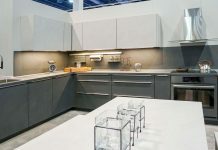 Its functionality is similar to islands, but it offers more clearance, especially for kitchens that do not have the required square footage for an island. Most homeowners would prefer to have an island over a peninsula; however, due to space restrictions this is not always a possibility. If a homeowner has the space, islands are good for creating space to work, store items, and hangout. However, peninsulas can often be more adequate. They offer circulation in all three sides with one end usually connected to a wall. Peninsulas can also be incorporated into U-shaped kitchens. The problem with U-shaped peninsulas is that they create a lot of dead space between the peninsula and wall or between the peninsula and cabinets. Also, U-shaped peninsulas limit the amount of entrants in a kitchen. In large families, this can create a traffic flow issue. Small kitchens can benefit from an island that has perpendicular walls with no cabinets. It will look like and island with the only difference that there will not be a walkway on one end of the counter. Sometimes a peninsula will offer extra space, and this will provide more seating at the counter. Kitchen islands and peninsulas can be constructed in different sizes, depending on room availability. 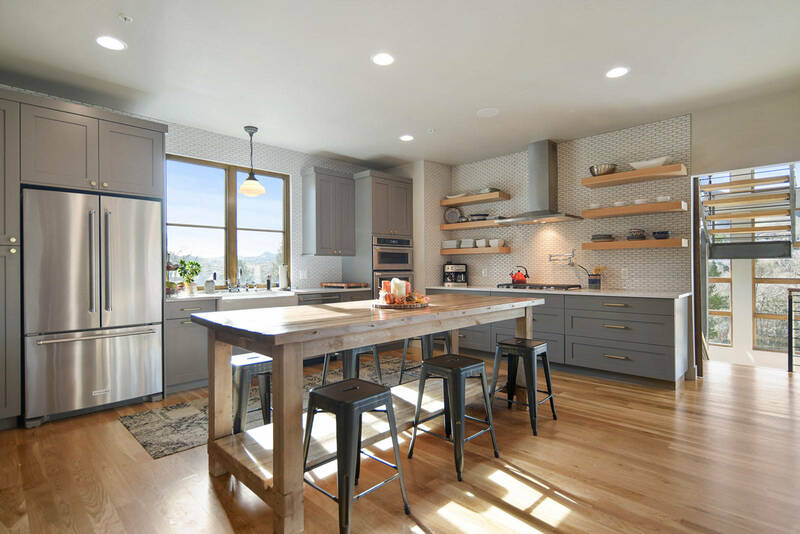 Some peninsulas can be as small as a butcher block station and some as large as an island that can accommodate a cooktop, dishwasher, sink, and seating arrangements.